President Donald Trump’s combative approach to world affairs is scrambling political dynamics in countries across the globe, bolstering some candidates who promise to stand up to the new U.S. leader and potentially reshaping America’s alliances. From Germany to Mexico to Iraq, political opposition to Mr. Trump is an increasingly popular brand that appeals to those who broadly disapprove of his world view or who have been put off by some of his early moves. Multinational organizations such as the European Union and the North Atlantic Treaty Organization are racing to formulate a unified response to what promise to be dramatic shifts in U.S. policy. The White House said Mr. Trump’s foreign-policy approach is designed to implement what he sees as a necessary course correction in America’s role in the world. “He just feels that for too long we’ve let other countries’ interests become ahead of ours,” White House press secretary Sean Spicer said. While the new president’s style is brash—particularly after eight years of the cautious, deliberative approach of former President Barack Obama—Mr. Trump is seeking to advance his agenda one personal relationship at a time, his aides said, despite that effort’s rocky start. 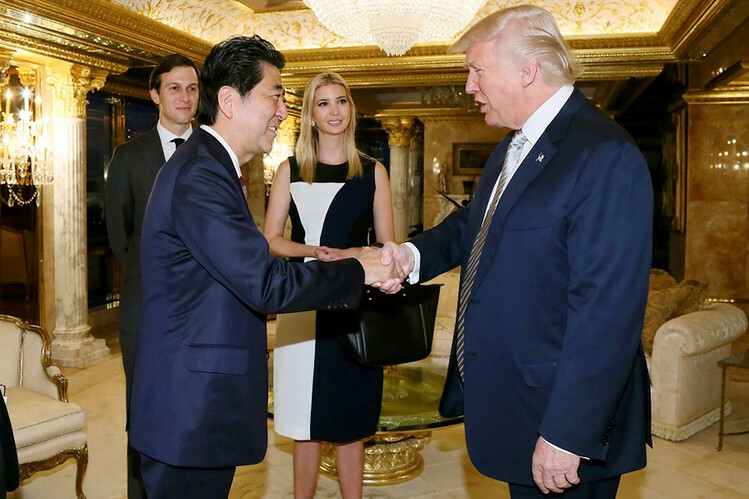 A White House visit Friday by Japanese Prime Minister Shinzo Abe offers the next test of the Trump effect on other countries’ politics. People close to Mr. Abe say he plans to make it easy for the new president by launching a charm offensive—something that won’t likely cost him politically thanks to his own popularity at home. Mr. Abe wants to avoid inflaming Mr. Trump by pushing back on his policies, even in areas where the U.S. leader has attacked Japan’s interests, these people say. One advantage: Hot-button issues such as immigration and refugee policy aren’t top-of-mind in insular Japan. The same weekend, a rising likely candidate in Mexico’s presidential elections next year, leftist leader Andrés Manuel López Obrador, is embarking on a tour of half a dozen U.S. cities in an attempt to cement his lead in the polls following a nationalist backlash in his country against Mr. Trump’s policy proposals and rhetoric on immigration. Starting Sunday in Los Angeles, Mr. López Obrador is holding a series of events to convey his support for Mexican migrants in the U.S. The ascent of the 63-year-old founder of the populist National Regeneration Movement, who narrowly lost Mexico’s two previous elections, comes as President Enrique Peña Nieto scrambles to establish a working relationship with Mr. Trump. Mr. Peña Nieto cancelled a planned Jan. 31 White House meeting after Mr. Trump repeated demands that Mexico pay for a wall between the two countries. 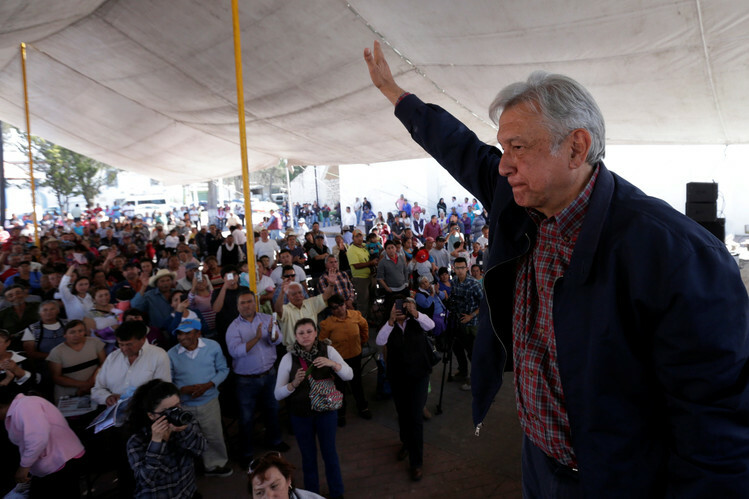 A poll published Feb. 1 by Mexican business daily El Financiero gave Mr. López Obrador 33% voter support, up 4 percentage points from November and six points ahead of former first lady Margarita Zavala, a leading presidential contender within the conservative National Action Party. In Europe, Mr. Trump’s election, policy pronouncements and style have had an impact on matters including the British government’s position on Brexit to European military spending to political races in Germany to Polish foreign policy. 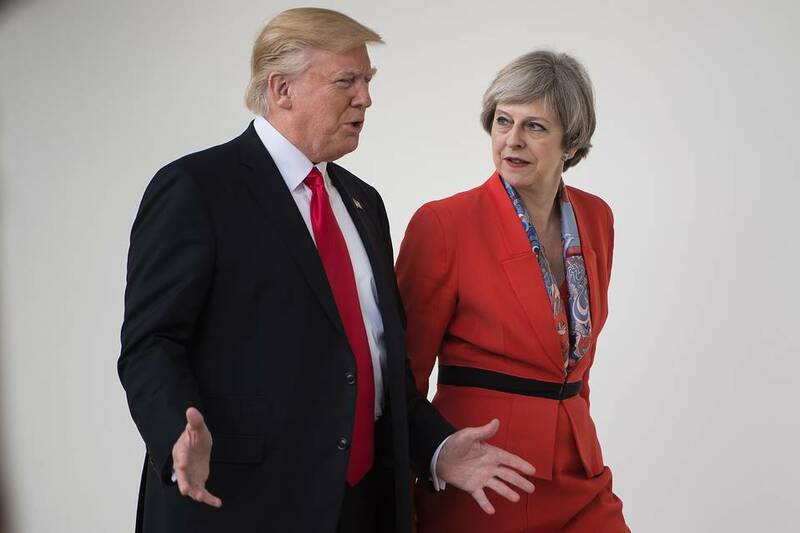 “I have not had a conversation, no matter how minor, with a European official that hasn’t focused on Trump,” said Jeremy Shapiro, the director of research at the European Council on Foreign Relations, a London think tank. Mr. Trump’s victory initially energized his ideological allies, particularly in Europe’s nationalist, anti-immigrant and euroskeptic parties. Yet that enthusiasm has tempered since he took office and in some countries centrist politicians who oppose the new American president’s policies are enjoying a revival. The president’s praise for Russian President Vladimir Putin and criticism of NATO has rattled European leaders. Mr. Trump’s policy on Russia, as well as China, isn’t yet clear, although he has rattled Beijing’s leadership by questioning the status of Taiwan and accusing the country of manipulating its currency. He has said he hopes to have better relations with Mr. Putin, and this week the White House said the U.S. won’t support lifting sanctions on Russia in response to its incursion into Ukraine until the conflict there ends. In Germany, the party of a candidate taking a hard line against Mr. Trump ahead of September’s general election has surpassed Chancellor Angela Merkel’s conservative party for the first time in more than five years, according to a survey released Monday by the polling firm INSA for the Bild newspaper. 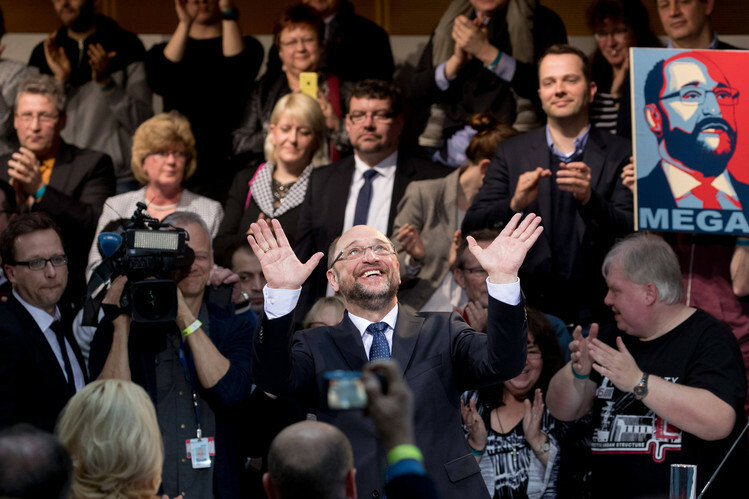 By contrast, the anti-immigrant and antiestablishment Alternative for Germany, which has praised Mr. Trump, has struggled in the polls recently. It dropped to 12% in this week’s INSA poll, compared with 15% in early January. 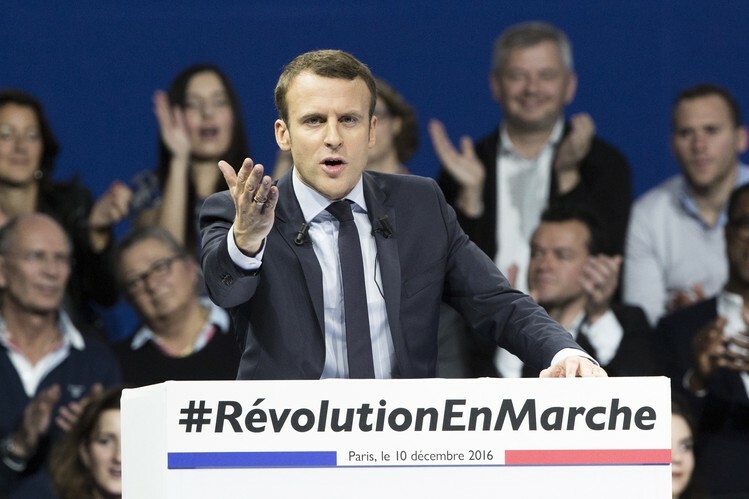 Even in France, where Trump-style populism was surging, the picture is growing more complicated, and the American leader becoming a defining wedge issue in the presidential race. Marine Le Pen, leader of the far-right National Front, said Mr. Trump’s swift action since taking office has lent credibility to her own causes: cracking down on immigration, resurrecting France’s national borders and pulling the country out of the European Union’s common currency. Emmanuel Macron, a pro-EU former investment banker who is running as an independent, has increasingly used Mr. Trump as a foil. He’s cast his centrist campaign as a sanctuary for liberal democracy and multiculturalism. While Ms. Le Pen is leading in the polls with about a quarter of the vote, Mr. Macron gets between 20% and 23% for the No. 2 spot. He recently supplanted conservative François Fillon who is now in third after an expenses scandal. If the current pattern holds, Ms. Le Pen would win the first round of voting in late April, but polls predict she’ll lose in a landslide to Mr. Macron in the runoff in May as voters for Mr. Fillon and left-wing candidates are expected to shift their votes to him. In the Middle East, Mr. Trump is being watched closely by America’s allies and adversaries alike. He has a close relationship with Israeli Prime Minister Benjamin Netanyahu, who is scheduled to visit the White House next week. And Mr. Trump’s aggressive opening salvo with Iran was greeted positively by Sunni Arab states such as Saudi Arabia, which is a shift from the deep skepticism they had for former President Obama, said R. Nicholas Burns, who advised President George W. Bush on Iran policy. Iraq, though, may be emerging as a trouble spot. Mr. Trump’s executive order banning the vast majority of Iraqis from traveling to the U.S., coupled with his comments that the U.S. should have taken Iraq’s oil during the Iraq war, has shaken the delicate political balance Iraqi Prime Minister Haider al-Abadi has tried to maintain between serving as a pro-U. S. ally and resisting strong anti-American forces in his government, analysts say. Mr. Trump’s statements have emboldened hard-line Shiite parties that traditionally tilt toward Iran. “What Trump did confirms what we have warned of before: that America is not a strategic ally to Iraq,” said Naeem al-Aboudi, spokesman for Asaib Ahl al Haq, one of the largest Shiite militias. Mr. Trump’s early move to retaliate against Iran after its ballistic missile test just days after he took office, and his administration’s warning that Tehran is “on notice,” could embolden the country’s hard-liners, warns Iran’s exiled crown prince, Reza Pahlavi, son of the last Iranian shah and president of the Iran Council for Free Elections. “The regime, in fact, would welcome a conflict,” he said in an interview. “They use a conflict” to deflect attention from domestic unhappiness over the economy and political repression. Mr. Trump has tempered some of his campaign pronouncements, such as that Japan and South Korea perhaps should acquire nuclear weapons. But he did withdraw the U.S. from the Trans-Pacific Partnership, a trade pact with 11 Asia-Pacific nations, as promised during the campaign. In South Korea, a U.S. ally, Mr. Trump has helped fuel the rise of upstart candidates bidding to replace President Park Geun-hye, who was impeached by the country’s National Assembly in December. In Australia, another close U.S. ally, Mr. Trump’s presidency has jolted the coalition of Prime Minister Malcolm Turnbull, which has only a thin majority in parliament, emboldening conservative party rebels to talk of another leadership coup and straining ties with the U.S over a flashpoint refugee deal. On Tuesday, a high-profile lawmaker who says he has drawn inspiration from Mr. Trump and the conservative drift in U.S. politics, quit the government to start his own rival party, hoping to draw others. —Jacob Schlesinger, Alastair Gale, Stacy Meichtry, Tamer El-Ghobashy, Jonathan Cheng, Rob Taylor, Julian E. Barnes, Valentina Pop and Martin Sobczyk contributed to this article.